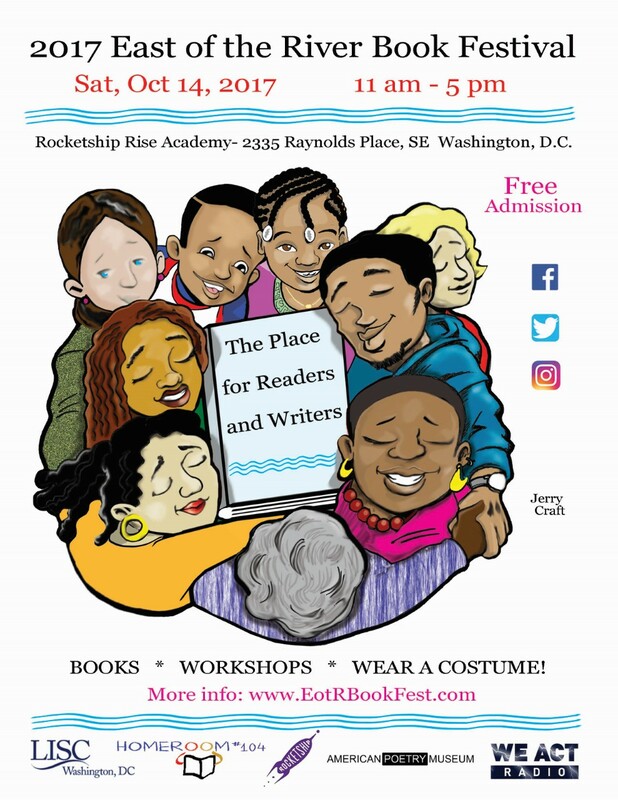 I hope you take a look at the updated information about the 2017 East of the River Book Festival in October! Have an awesome day! Thank you for the post and recommendation Troy! So excited for more people to have access to the East of the River Book Festival, so many authors and so much fun ahead! The 2017 East of the River Book Festival is a magnet for city dwellers from all wards to recognize and enjoy a literary event that highlights the efforts of indie writers, small publishers and tiny book shops. For the fourth year, it is a place that is fertile ground to plant ideas to meet the need of culturally diverse books that reflect places and characters that are typically on the fringe of society or omitted. This book festival is a celebration of those places and characters, both real and imaginary, to be central to stories that reflect different perspectives. This literary festival is the headquarters for diverse books for children, teens and adults in the DC area. Attendees will be amazed by the outstanding talents of poets from the American Poetry Museum, dramatic presentations, storytelling workshops with Story District and so many authors! To top it off, this book festival is a costume party in disguise! All attendees (yup, that means adults too) are encouraged to wear costumes that reflect a favorite author or book character! We have more surprises to share, so come and join us on Saturday, October 14, 2017! For additional details, visit www.eotrbookfest.com, @eastoftheriverbookfestival on Facebook, and @eotrbookfest on Instagram and Twitter!